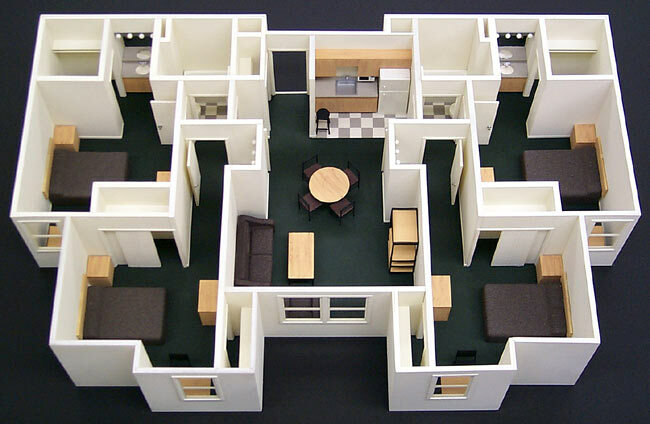 Floor plan models of 2 and 4 person dorm rooms. Laser-cut furniture. We are committed to being your architectural model builder of choice. 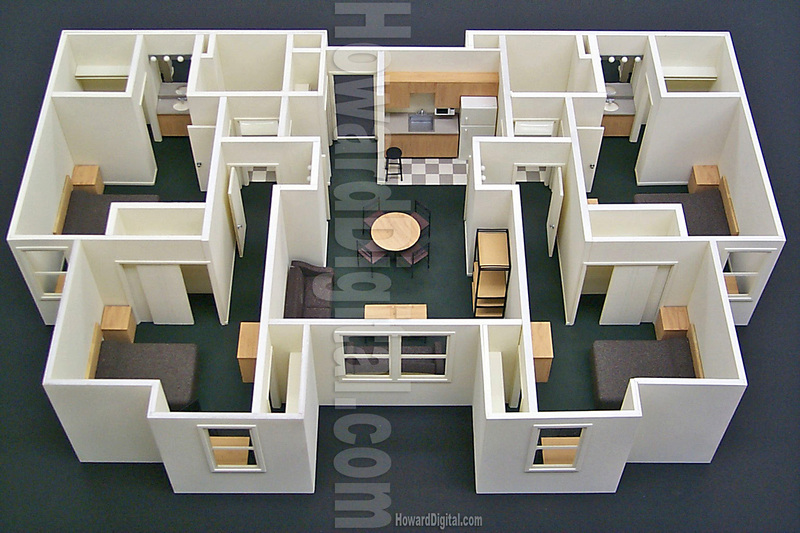 Therefore, we have redesigned the Interior Scale Model building process with your needs in mind. Our new process speeds production communications, and adds flexibility to the construction process.